The marker is a simple granite slab with rusticated finish except for most of the front face which has a smooth finish with incised inscription. Governor John C. B. Ehringhaus was scheduled to deliver the speech of acceptance and Dr. A.R. Newson was to deliver the keynote address. 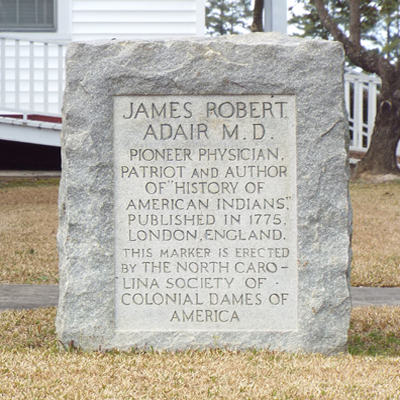 James Robert Adair is famous for writing The History of the American Indians (first published in 1775), in which he tried to prove that Native Americans were the lost tribes of Israel. 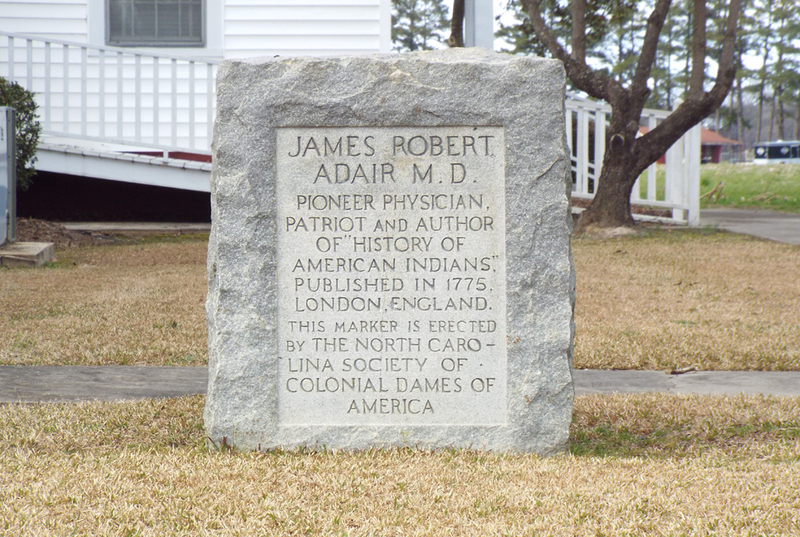 The marker also has Adair as a medical doctor but there is scant evidence that he actually practiced medicine. Ashpole Presbyterian Church is a historic Presbyterian church located near Rowland, Robeson County, North Carolina. It was built between 1860 and 1865, and is a two-level, three bay by five bay, Greek Revival style frame church. Adair is buried somewhere near the church but the exact location of his grave is unknown.